He garnered a whopping 95.41% of total scores. 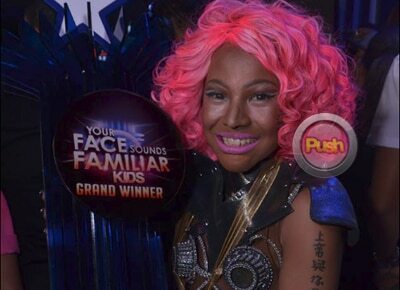 ‘Breakout child star’ Awra Briguela won the very first kids edition of Your Face Sounds Familiar during its live finale on Sunday, April 9 at the Resorts World Manila. 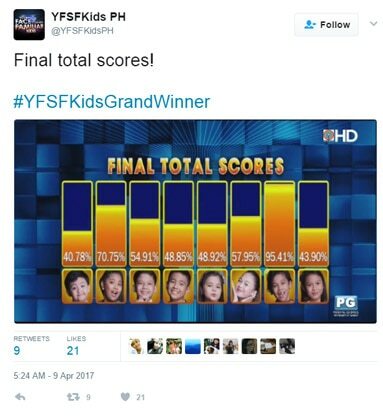 Garnering a whopping 95.41% of total scores, he took home P1 million, a trip to Jeju, South Korea for four and a house and lot.